Most writers think that the minute they sign with a literary agent all their problems are solved. Not so. While a ‘good’ literary agent is a blessing, a ‘bad’ literary agent is a big fat curse. A good literary agent is one who not just tries to sell your novel but advises you about your career and, above all, stands by your side no matter what. I have been assured that such literary agents exist. A ‘bad’ literary agent is one who raves about your work but if one of the big six publishers does not take it on suddenly stops raving, as well as returning your calls, your e-mails and your chances of a writing future. How is a writer to avoid signing with a ‘bad’ agent? Unfortunately there is no exact science of knowing good from bad. In fact the number one problem a writer looking for an agent undergoes is being able to distinguish between ‘bad’ and ‘good’ especially in this day and age where all agents sound great in their websites and in interviews (Which agent is going to say: unless you sell to a really big publisher and your book goes on to do really well, I’m going to pretend I never heard of you). Some helpful sites for writers are Agent Query and Query Tracker which have forums where writers can discuss the agents. Unfortunately most writers grumble about their bad experiences off the record lest going on the record harm their chances of every signing with another agent since since the agent world is small and no writer want to become known as a ‘untouchable complainer’. There is also Writers Beware and author J.A. Konrath has multiple posts on the writer-agent relationships and things to be wary of. 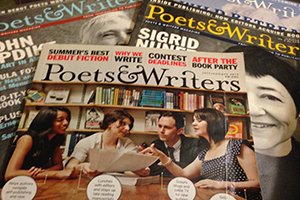 Another recourse writers swear by when it comes to researching literary agents is the premier publishing journal Publishers Weekly where a subscription allows you to access information on how many sales each agent has made and in which genre. This information is, however, dependent on agents reporting their sales. And why should they not report? Sales sale are a good thing. A few moons ago I attended a conference where one of the speakers was an ex-agent turned fiction writer. This ex-agent was not very happy with their own agent but didn’t know what to do about it because this ex-agent’s agent was one of the big ones, and also most writers believe that any agent is better than being agent less, though I disagree. Since the writer and literary agent relationship is often compared to a marriage, I asked the ex-agent how a writer might go about finding a ‘match made in heaven.’. To that end, I asked, how reliable and helpful was the information found in Publisher’s Weekly? I was distressed by what the ex-editor had to say. Apparently the publishing world considers agents who post sales show-offs and they are, apparently, made fun of behind the scenes. This ‘insider’ detail upset me because a) I’m naive and b) I’m naive. I thought agents had better things to do than make fun of each other but then here is where it would do well for writers to remember that agents are humans too. Fact is it would be such a shame for writers if agents were not posting their sales figures in Publisher’s Weekly since this is one of the few places where writers can get information on sales. Industry insiders might know who is selling best in which genre ( i.e. commercial internal fiction or literary international fiction? yes there is a difference) but the lowly writer is an outsider and as such is in need of this information most of all. And in the end no matter how much research you do by the time you realize the agent is not right for you it is too late. © Copyright - Soniah Kamal. Selected for Top Author Website 2017 by the The Writer Award | Designed by Hira Mariam.